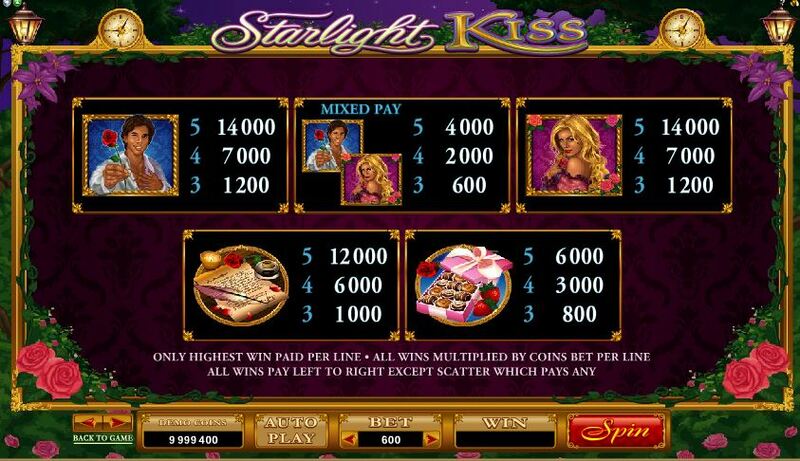 Starlight Kiss slot is a rather naff romantic-themed game of 243 ways by Microgaming. The best symbols are a rather corny-looking lothario proffering a red rose and bottle-blonde woman clutching one of his red roses. 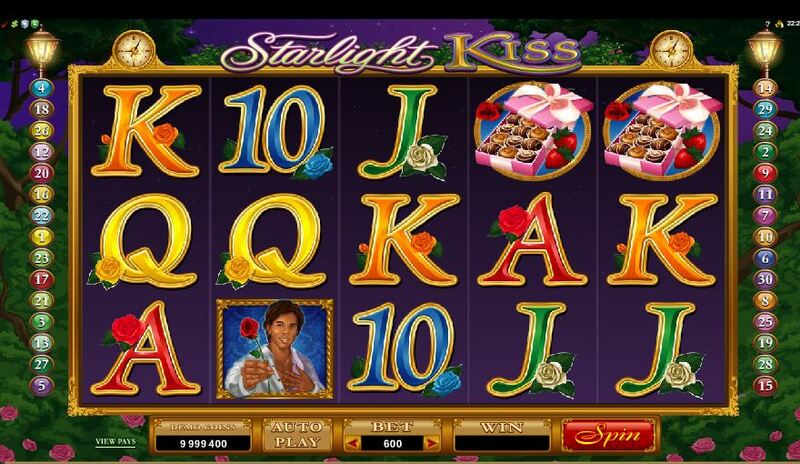 Quite appropriately they pay as mixed symbols unlike the characters of its darker relation, Immortal Romance. 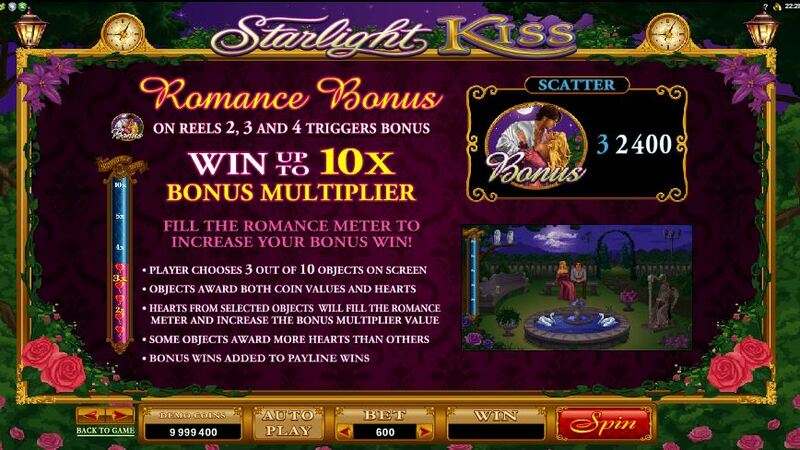 You have a dull ‘Romance Bonus’ when 3 bonus symbols land on the centre 3 reels whereby you get cash values for your selections and any hearts uncovered act as multipliers for the total, p to 10x. 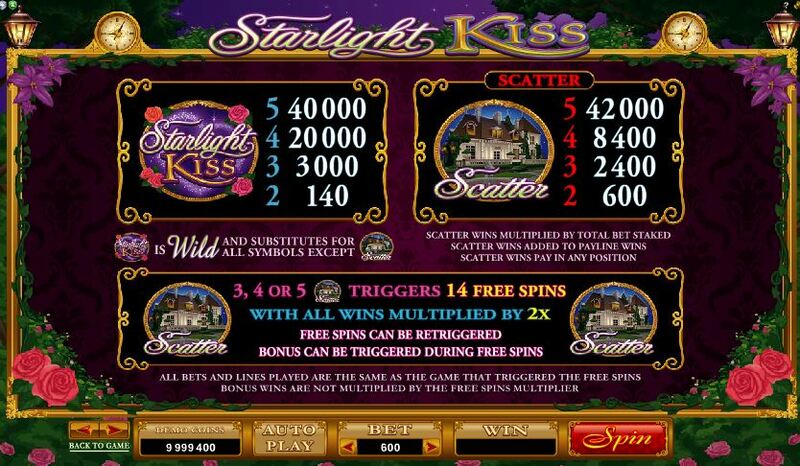 The best feature is the 14 free games awarded for 3 or more House scatters at 2x multiplier which can be retriggered. RTP is 96.52%.